As you already know, I'm in Year 11 and currently doing my GCSEs. I have my final exams in May/ June so that means that I am busy revising away now! These are my tips for effective study- they work for me, so I hope they will work out well for you too! Let me know if you like any of these tips! I find revising really boring. Like really really. Well, I did. Now I make sure that all of my revision notes are full of different colours, glitter and highlighting- it makes all the difference for sure. Not only does it make everything that bit more interesting, the different colours help to separate and highlight key points that will (hopefully) stick in your head for the exam! 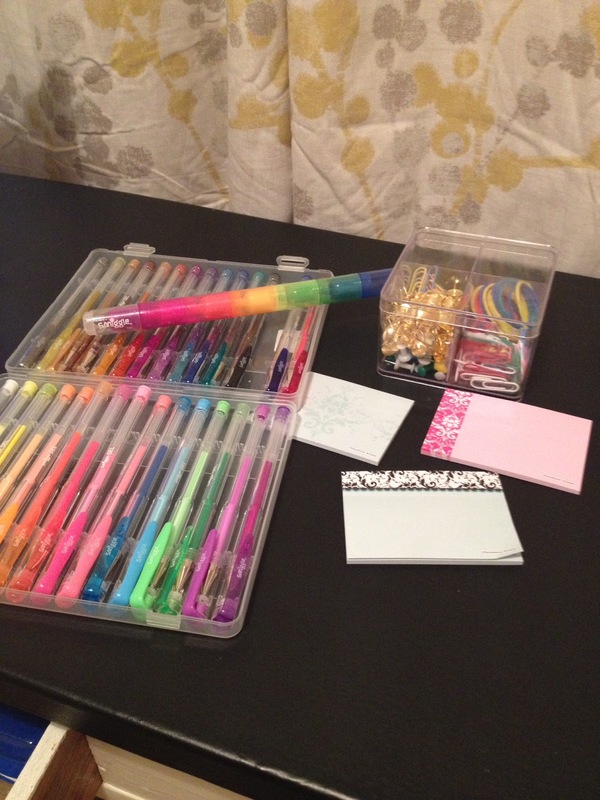 Having cool stationery is so much more fun! 2. )Have a comfortable revision space. For me, I get really easily distracted. I used to sit on my bed and revise and it didn't work very well. Not only did I have such bad posture, hunched over my laptop, I would find every single thing possible in my bedroom to procrastinate. (I would even tidy my whole room to kill some time..!?). So, after a discussion with my Mum, we decided to transform the spare room (which used to be filled with old toys and bedding) into a study space for me to revise. We cleaned out the room and put in a desk and some other bits and pieces. We were sure to keep it very simple with a pastel colour theme, so there weren't any obvious distractions. 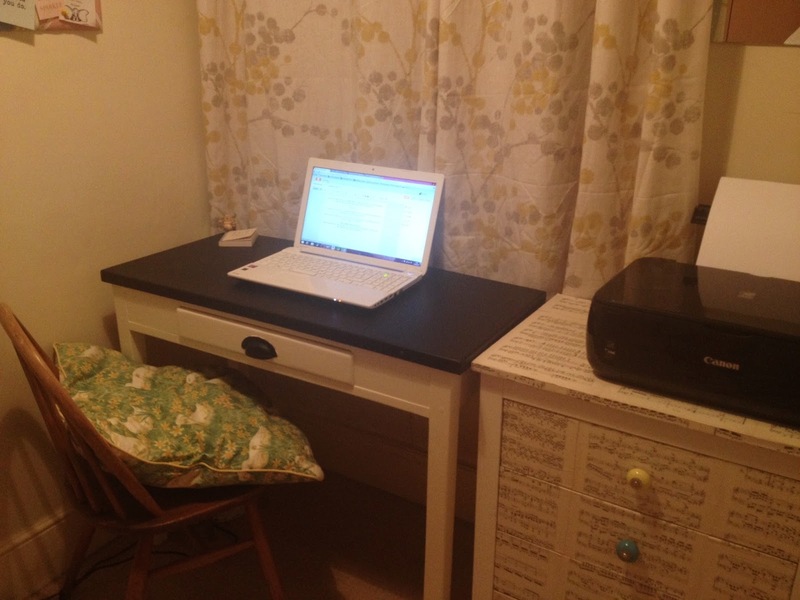 Of course, not everyone has a spare room to use as a study so why not just study at the kitchen table- somewhere you can sit down with space and organisation, or get a desk for your bedroom. I would definitely urge you to get a set study place, it has really made me more focused and ready to revise. My awesome little snug study- thanks to my fabuloso Mum! I get really stressed. I'm quite the perfectionist and I want to do well all the time. But obviously not everything always goes to plan and exams stress me to the limit. I think its really important to stay as relaxed as possible, as stress is really bad for health. Personally, I can obviously see how stress effects my health because my skin gets really dry and patchy and I break out in spots- not good! I'm working really hard on controlling my stress levels. My favourite thing to do is to meditate, which I do every night for 10 mins+. To meditate I use the most fantastic IPhone app ever called Smiling Mind- I urge everyone to try this out as it is so great. It helps me to relax and gain mindfulness, I love it. Also, I like to do yoga. I watch videos on YouTube (I used this one for starting out- http://www.youtube.com/watch?v=0o0kNeOyH98) and I also have a DVD which I like to use sometimes. Other ways I keep relaxed is to visit these websites during my revision breaks or just when I'm feeling a bit stressy: The Quiet Place, The Thoughts Room, Calm.com. They are SO good! Listening to ocean sounds is really helpful and relaxing too, I like to listen to them using this website: http://www.calmsound.com/. 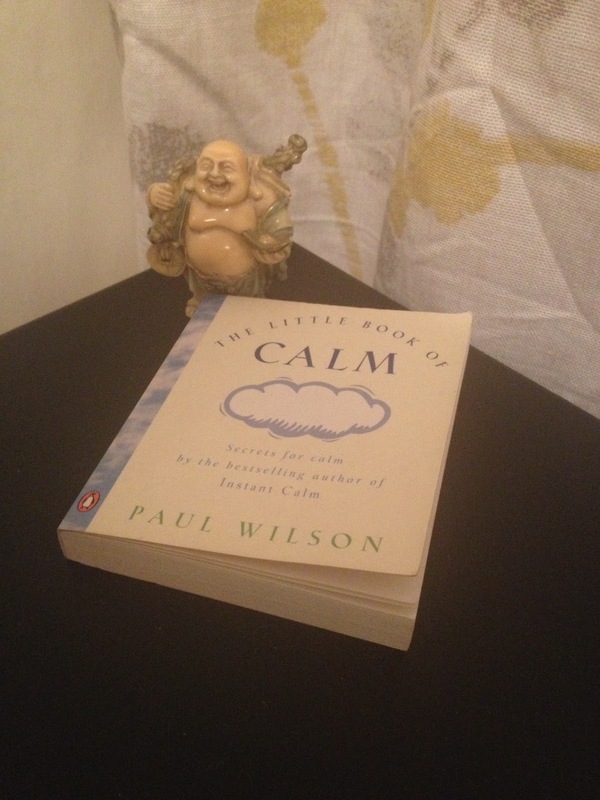 I keep a little book of calm on my desk and my little smiling Buddha! I know its hard, once you are in the flow and mindset of working, to take a break. But its really important to take a 5+ min break after you've been revising for 40 mins. It will allow your brain to just cool off for a little bit, so its ready to absorb some more information. Have a cuppa tea, call a friend up and have a little chat, read a few blog posts. Alternatively, you could keep your mind awake and active by doing a crossword or Sudoku, but still having a break from the hundreds of revision flashcards. Personally I like to do some stretches (I suffer with whiplash so I have back/neck problems) just to loosen up a little after being sat down for a while. Then you'll be ready to get back to work effectively! I always thought that I could really not work with noises around me. When I'm revising I ask my family to keep the noise down so I can focus. But the other day I found this website http://coffitivity.com/ which plays background noise of a coffee shop which has been proven to boost creativity levels. I play this in the background on a low volume and it strangely keeps me so focused on my work! I never would have thought that something like this would work, but it is so effective- I definitely urge you to give it a try! On the other hand, if you can focus with music, I recommend these playlists- Actually Study and Concentration. 6. )Eat healthier, exercise and sleep! I have to admit, a month ago or so I didn't have the greatest diet. I was snacking on biscuits and crisps a lot and not doing much exercise and I was noticing that my skin was getting really spotty and I was feeling really groggy all the time. My family and I decided that we were going to ban buying crisps, biscuits, cakes etc from now on and only buy 'healthy' stuff. A month on, and I've been eating so much more healthier and I do at least half an hour of exercise a day. I do just a general fitness routine (star jumps, planks, burpees etc.) or I love doing Zumba or Just Sweat on the Wii, its really fun! By having a healthier lifestyle I have found such a huge change in myself; I feel so much more lively and ready to tackle every day (including revision!). Also I make sure to have at least 9 hours of sleep every night to ensure that I am energised, and of course a girl needs her beauty sleep ;) Drinking lots of water is essential too! The last thing I'd say is to be proactive in your learning. I know your teachers probably bang on about this all the time to you, as do mine, but they only have our best interests at heart. Make a revision timetable to stay organised and on top of all your work. Another thing to do is to attend catch up/ revision sessions if your teachers offer them to you- I have started going to revision sessions for different subjects during my lunchtimes at school and they are so helpful! This also gives you an opportunity to ask your subject teachers any questions you may have. I'd recommend buying revision guides (CGP ones are very good!) for your subjects to help with revision too. That's all the tips that I can think of at the moment! I really hope that you find this useful! Let me know if you do! 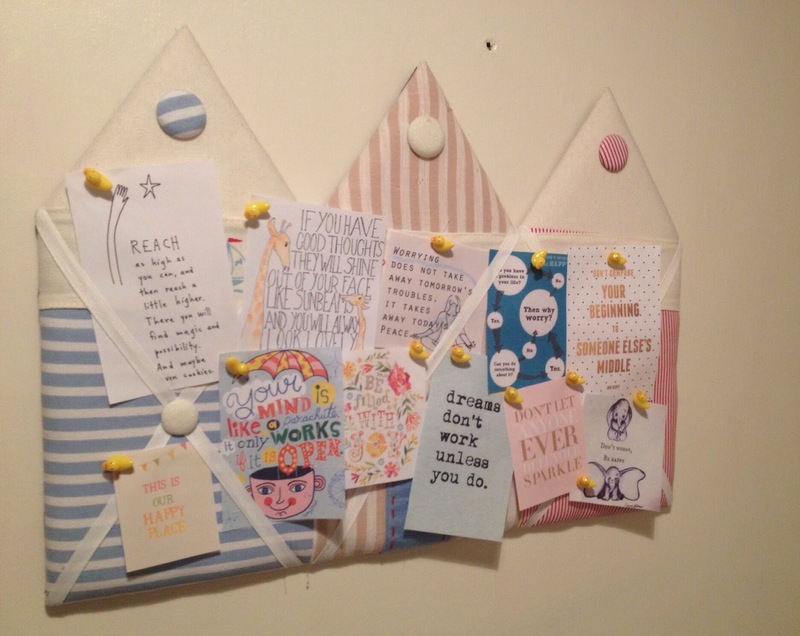 I'm actually doing the A* Grade Blogger Challenge (if you've spotted my badge on the side of my blog- high five!) which is a really cool idea. You can check it out here: http://www.achiclifestyle.com/p/a-grade-challenge.html.